Freedom from Guilt and Sin – CounselCare Connection. P.C. I’d like to help you deal with the guilt that has overcome you and help you experience the depth of love and forgiveness God extends to you. I don’t know what sins you have committed to cause you to feel guilty but guilt is a good problem to have when it draws us to God and to the only person who can provide forgiveness, Jesus Christ. Jesus Christ died for the sins of the whole world (that includes you & me), past, present and future sins. He has paid the full penalty for those sins. Romans 8:1 says: “There is now no condemnation for those who are in Christ Jesus”. Have you accepted Jesus Christ as the Lord and Savior of your life? Have you repented of your sins? 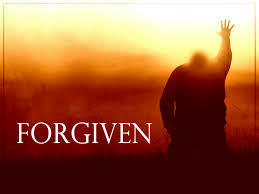 Repentance means not only asking for forgiveness but having a desire to turn from sinful living. Do you routinely confess your sins to Him? Jesus has paid the price once and for all for your sins. He offers to forgive our sins, and to give us the free gift of eternal life…making peace between us and His Father when we decide to trust Him as Lord and Savior of our lives. He loved us so much that He died for our sins 2,000 years ago. The only sin God can’t forgive is the sin of unbelief, because salvation through Christ (which includes forgiveness and eternal life) needs to be accepted by faith in order to be applied to one’s life. There are many verses assuring us of the forgiveness we have in Christ. Read these and ask the Lord to help you believe what He has said in His Word about forgiveness. Counseling with a pastor or Christian counselor and reading the Word of God can help you sort out the guilt issues you struggle with and determine whether your guilt is true or false. Remember that (God’s) “love covers a multitude of sins” (1 Peter 4:8). To grow in your new relationship with Christ, attend a solid Bible teaching church to learn more and to fellowship with God’s family. You can contact the WillowCreek Association for a recommendation to a churrch near you. Read your Bible and pray everyday.